The Pro Sport is the thoroughbred sporter, combining a high degree of mechanical function with a stylish design. It is a widely held opinion, that no airgun in the world combines the degree of mechanical function and stylish design of the Pro Sport. When you look at the rifle, it's hard to disagree with that opinion and when you shoot the Pro Sport, it's even more so. 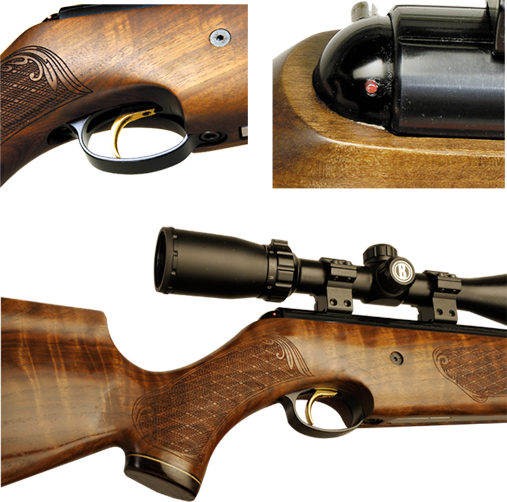 From Air Arms' own developers came the superb CD trigger system and the luxury stock, plus the wealth of continual development the company invests in every model. The Pro Sport represents the peak of Air Arms spring-powered technology and, many would argue, the very best of its kind.